Why go bicycle touring in Canada? 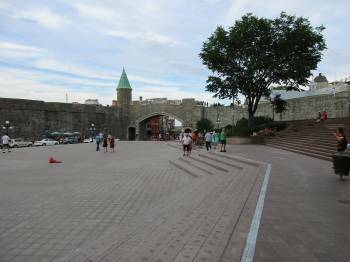 Because of the great variety you will see and experience from natural beauty of the Canadian Rockies, historic Quebec City to the fishing villages of the Maritime Provinces. Except for the province of the Quebec which has an extensive bicycle trail signed network there are only a few long distance cycling routes in Canada but there are many local routes which you can incorporate into your journey. 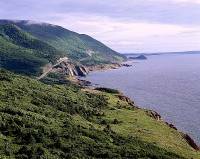 Nova Scotia – Cape Breton National Park has the Cabot Trail which involves numerous climbs with great ocean views as the route circles the island including the historic fortresses of Louisbourg. Also in Nova Scotia is the coastal route from pretty Peggy’s Cove around the peninsula to Annapolis Royal with its lighthouses, orchards and fishing villages. On Prince Edward Island the hard packed Confederation Trail runs from one end of the island to the other on a gently rolling route taking about five days. Stop for a seafood dinner, see Anne of Green Gables and the red sand beaches along the way. Nova Scotia and the Maritimes by Bike can help with your planning. Newfoundland – features the 450 km Viking Trail, a challenging route from Deer Lake taking you along th ruggest coast to L’Anse aux Meadows. Along the way you pass Gors Morne National Park known for its spectacular fjord. Cycling friend report of strong winds on the return ride. New Brunswick – has the 215 km Fundy Tidal Trail from Moncton which includes the famous Flower Pot Rocks. Quebec – Velo Quebec has developed La Route Verte with over 4,000 km of signed bikeways crossing the entire province. National Geographic ranks the route first in the top 10 bike routes on the planet, chosen for their beauty, length and excitement. Popular areas include cycling from Montreal to Quebec City and the Eastern Townships region south of the St. Lawrence River. Ontario – the most populous region of Canada sadly lacks long distance cycling routes. The only major signed route is the wonderful Waterfront Trail from Niagara continuing through downtown Toronto to the Quebec border taking about one week. There are now also additional sections in place along the north shore of Lake Erie. Many who are bicycle touring combine this with the Seaway Trail in New York State for a circle trip of Lake Ontario. Available routes can be found in the Ontario Bicycle Touring Atlas. You may also consider basing yourself in Prince Edward County to the east of Toronto for a few days of bicycle touring amidst orchards, rolling countryside and a provincial park with a well visited beach. Western Canada – Two popular routes in the Canadian Rockies include the Icefields Highway for the 232 kilometers from Jasper to Lake Louse along mostly paved shoulders and continuing on to Banff. Also the the super challenging Golden Triangle which crosses the continental divide from Banff National Park in Alberta for 300 km to British Columbia and back via another road. The Gulf Islands located between Vancouver and Victoria offer quaint towns and gentle exploring, a favorite with guided bicycle touring, often in conjunction with a stay in Victoria which offers a number of routes. Major guided bicycle tours include the Icefields Highway (Alberta), Rocky Mountains (Alberta/British Columbia), Gulf Islands (BC), Niagara (Ontario), Nova Scotia and Eastern Townships (Quebec). Canadian operators include Freewheeling Adventures, Randonnee Tours, Butterfield & Robinson, Active Journeys, Great Explorations and Velo Quebec. American operators offering guided bicycle touring in Canada include Backroads, Bicycle Adventures and Experience Plus. 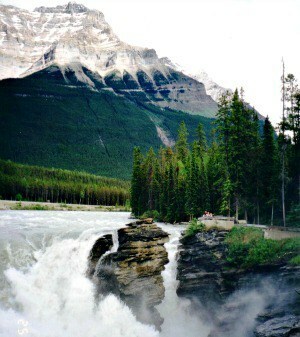 There are numerous campgrounds, bed & breakfasts (see BBCanada.com) and hotels across the country. Most are not used to people bicycle touring so you will need to ask about storing your bicycle overnight. In the summer university accommodation is also an excellent option. How can I transport my bike while in Canada? Both Air Canada and WestJet carry bicycles for a fee. VIA Rail accepts bicycles on only a few trains shipped as cargo and should not be considered a good option. Some of the regional commuter trains such as GO Transit accept bicycles which can be handy to get to Niagara Falls in the summer. This is a big country and most cyclists focus on a particular region when bicycle touring in Canada. The Bicycle Ontario web site http://www.bicycleontario.ca provides information on bicycle touring in Ontario including online map sources.